Most of the Jung's theories regarding the structure and exploration of the psyche are covered in this site through themes and key-concepts (see the list below). 5. The insight gained from his studies on alchemical, astrological works, I Ching and the Eastern philosophies as well. Are the contents of the collective unconscious. Described by Jung, refers to an autonomous development of individual psyche leading to a more complex and complete ego-identity. Coined by Jung, this concept refers to the acausal coincidence of psychic and material events. The ancient Chinese divinatory book has been used by Jung both as a divinatory means and a illustration of his archetypes and synchronicity theories. 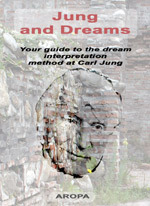 A great deal of inspiration brought Jung in regard to the dream interpretation method. First of all, he applied the compensation concept and the prospective approach to the theory of dreams. Concerning the interpretation technique, Jung added more features such as the amplification method consisting in finding additional material to the dream associations drawn from mythology, folklore, religion and so forth. This way he enlarged the genuine content of the dream to include more images and symbols that further help us understand its meaning. Learn more about his method here.